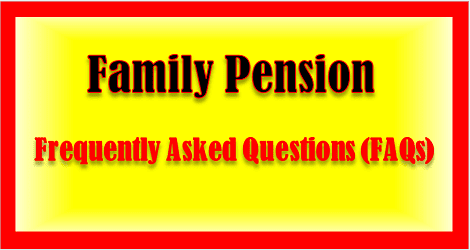 other cases, i.e., where the pension is not being credited to the joint bank account of the pensioner and his/her spouse, the spouse is still required to submit Form 14 to the pension disbursing bank. However, the condition of attestation of Form 14 has been done away with and giving witness of two persons has been considered as sufficient. The other children will apply to the Head of Office for sanction of family pension.